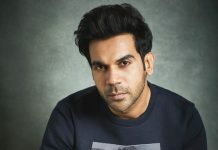 Buzz has it that filmmaker Anurag Basu has signed powerful performer Rajkummar Rao to play one of the main characters in his upcoming directorial venture, Life In A… Metro 2. As the title suggests itself, the project is a sequel to Basu’s hit urban drama Life In A… Metro (2007). Apart from Rajkummar Rao, actors Kareena Kapoor Khan and Arjun Kapoor are also rumoured to be headlining the cast of the movie. However, neither the actors nor the director have openly talked about any new cast development. Interestingly, Rajkummar Rao is already doing a film with Anurag Basu. Titled Imali, the film stars Kangana Ranaut as the female lead. If Rao is also a part of Life In A… Metro sequel, it will be his second movie with the popular filmmaker. Meanwhile, Rajkummar Rao has a number of projects in his plate. 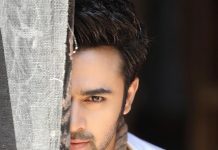 Besides his immediate release Stree, the critically acclaimed actor will also be seen in such films as Ek Ladki Ko Dekha Toh Aisa Laga, Mental Hai Kya, Swagat Hai, and Made In China. Life In A… Metro 2 will be the latest addition to his list. For the uninitiated, Life In A… Metro was one of the most successful films of 2007. The multi-starrer, which boasted the presence of Shilpa Shetty, Konkona Sen Sharma, Kangana Ranaut, Sharman Joshi, Kay Kay Menon, Shiney Ahuja, Irrfan Khan in its ensemble cast, revolved around a couple of individuals and their complex romantic lives in a metropolitan city like Mumbai.